Tea Tree oil, also known as Melaleuca, is an extremely versatile oil! The cleansing properties of Tea Tree oil is what makes it so well-known and is commonly used for soothing skin irritations, purifying nails and cuticles, aiding as a skin cleanser or moisturizer, and being used in shampoo to help keep the hair clean and healthy. Not only does Tea Tree help to cleanse the hair, but it also makes it stronger by removing build up that may weaken the roots of the hair. Whether it is in its pure essential oil form, or included in a shampoo and conditioner set, Tea Tree is a great agent to introduce to your routine if you need to remove irritation, cleanse, and strengthen. All in all, if you are looking for a natural ingredient to get your hair looking its very best, Tea Tree Oil is definitely a must! Read on the best tea tree oil shampoo with reviews, How-tos and tips. 1What is Tea Tree Oil Shampoo? Tea Tree Oil Shampoo can be one of two things; either a formulated shampoo that already contains a certain amount of pure Tea Tree Oil, or one of your own favorite shampoos that you add a couple drops of pure Tea Tree Essential Oil too. Either one of these methods is a great way to introduce the oil into your hair care routine. For most people, the convenience of having the oil already included in a shampoo would be the most appealing, as you don’t need to go and purchase a bottle just the essential oil and then need to add it to your own, separate, shampoo. The following Tea Tree Oil shampoos we will be reviewing are the brands that already have a certain amount of this fantastic oil included in their ingredients list. 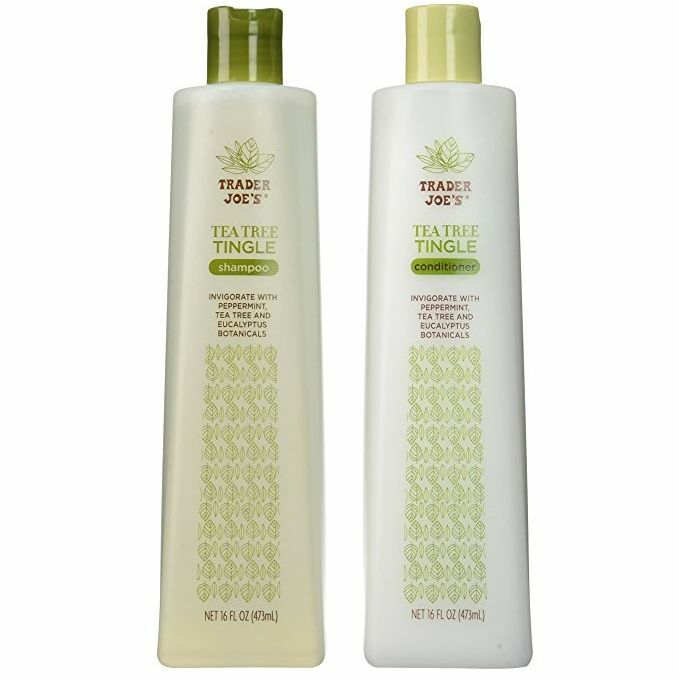 Trader Joe’s is all about the health life, and although they may be most known for their food stuffs, the Tea Tree Tingle Shampoo and Conditioner Set is definitely something to talk about. This hair care duo is easily affordable for any lady or gent who may be on a budget and is full or really great benefits for any hair type. Free from any sulfate or laureth sulfates, these products are organic and have never been treated on animals. The organic botanicals that are included in the formula will work with the Tea Tree oil to help cleanse and nourish the scalp while moisturizing and strengthening the hair. With a lovely subtle peppermint and eucalyptus smell, these are very refreshing products that will leave your hair feeling great. 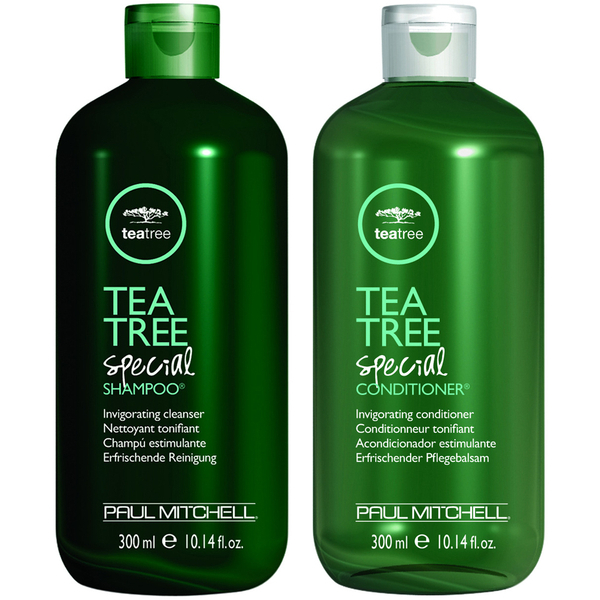 Most likely when you think of “tea tree shampoo” you may think of Paul Mitchell’s Tea Tree Special Shampoo. Due to the fact that Paul Mitchell has quite the range of tea tree oil shampoos and conditioners, this brand is well-known for having a quality product that can aid in soothing dandruff, flaky skin, itching, redness, and other scalp issues. Being that this product uses tea tree as the primary essential oil, the smell of tea tree is quite strong. While some people enjoy this aroma, others do not; so if you are someone who doesn’t like just the smell of tea tree, this may not be the product for you. 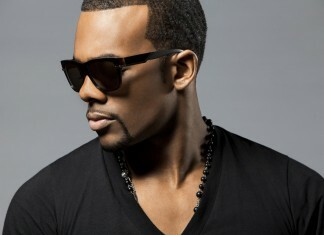 However, with that aside, the Paul Mitchell Tea Tree Shampoo is one of the best you can get on the market. It is a little pricey, but it pays for itself with results and how long the bottle lasts; a little goes a long way! Everyone is made differently so the results may vary in how quickly they appear, but if you stick to a careful routine with this product, results will come. This natural dandruff fighting shampoo and conditioner set by Maple Holistics is definitely a must try for anyone on a budget. This affordable and effective set is perfect for those suffering from scalp issues and damaged or broken hair due to the natural essential oils (including tea tree) that work as an antiseptic and antifungal base for the product. The shampoo works by clearing away dead skin cells with the tea tree oil, and following up with lavender to help soothe the scalp. The conditioner then works to re-moisturize the scalp and hair in order to ensure that each strand can grow long and strong. 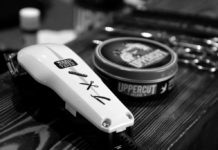 If you unsure about whether this product will work for you, the company offers a full, no questions asked, refund; so there’s nothing to lose! 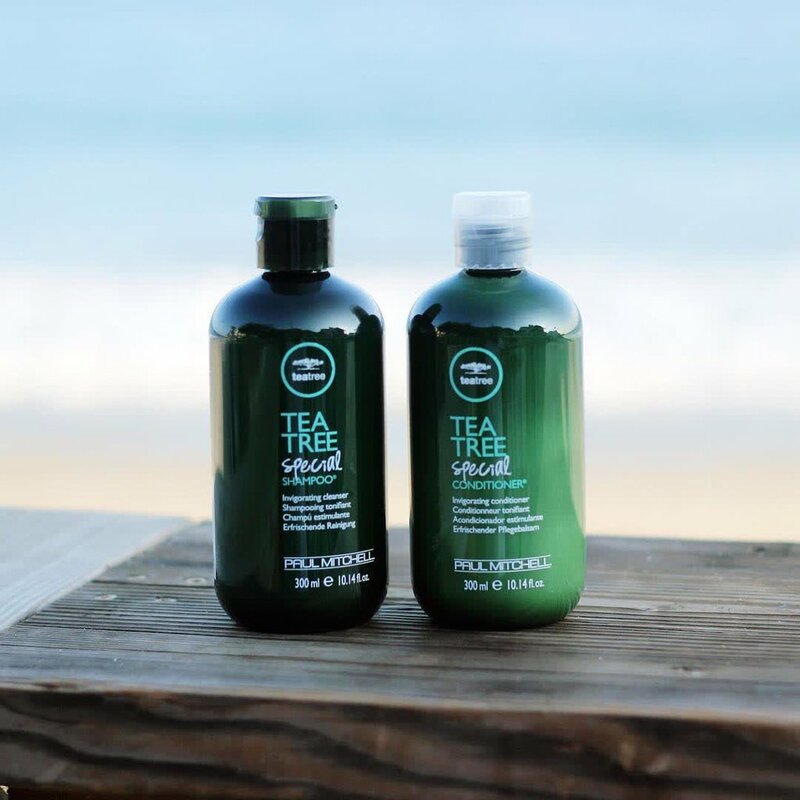 Nature’s Gate Tea Tree Duo shampoo is not only fun to look at in its bright green packaging, but it is also a great product to use! 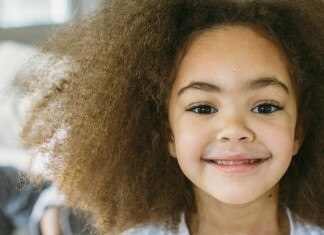 This affordable and calming formula is designed to help cleanse the hair in order to balance out any irritated and flaky issues that may be plaguing the scalp. Nature’s Gate is sulfate free and uses naturally purifying Tea Tree oil to nourish, calm, and soothe; the tea tree is combined with seven other hair nutrients as well as herbs to help accomplish this. 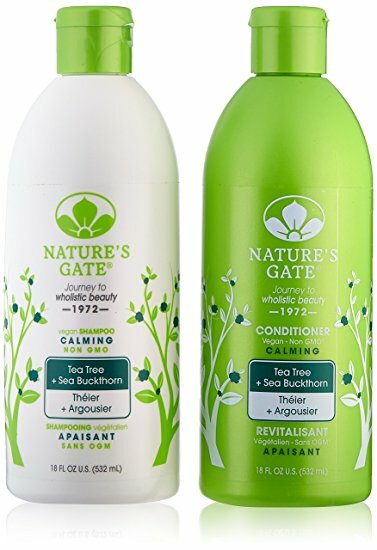 If you are someone who is looking for an extremely natural and gentle product to use on your hair, you may very well love Nature’s Gate! It is vegan, cruelty free, paraben free, sulfate free, sodium free, phthalate free, and produced without any animal testing. 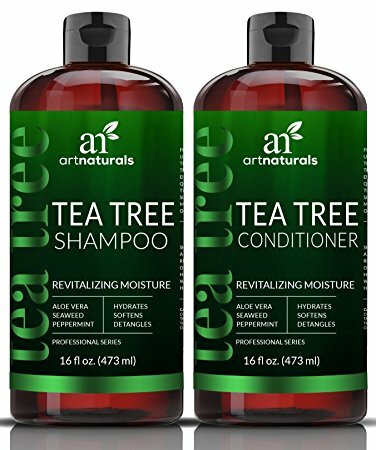 If you are looking for a product that provides a wonderful tingly sensation that can chase away dandruff and itchy scalp, then the Art Naturals Tea Tree Oil Set may be the perfect fit for you. The formula for these products is fighting itchy and flaky skin with natural oils and nutrients, while cooling the scalp and providing extra strength for the hair. Tea tree oil is wonderful for its anti-fungal and antiseptic benefits, and when used in these products it truly works at calming any flaring scalp issues. Paired with the Tea Tree oil are natural ingredients such as Biotin, Aloe Vera, Rosemary, Peppermint, Eucalyptus, Lavender, and vitamins; all of which help to encourage hair growth and strengthen the remaining hair. This product is also cruelty and paraben free, making it a great choice for the earth and all hair types. 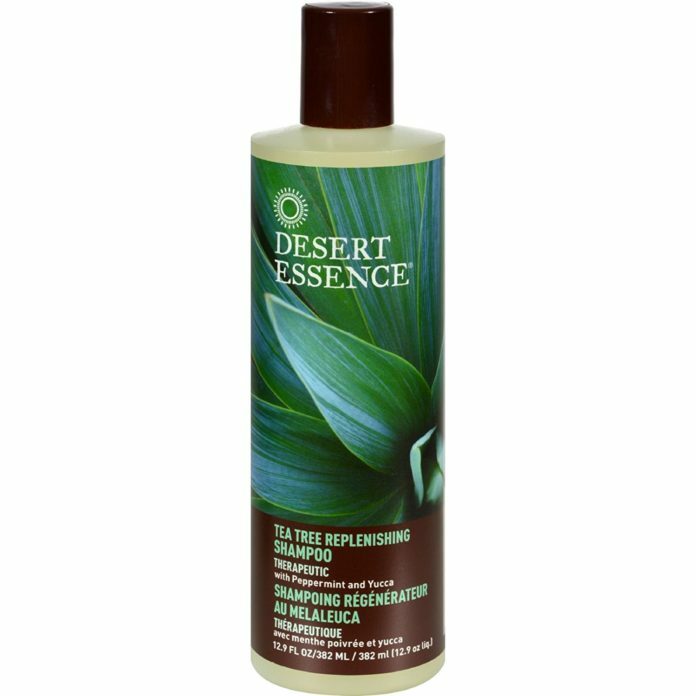 Your scalp may no longer feel like a desert after using this Daily Replenishing Shampoo. If you are suffering from itchy, flaky skin and damaged hair, Desert Essence has a formula that is designed specifically for restoring moisture and balance to the scalp. 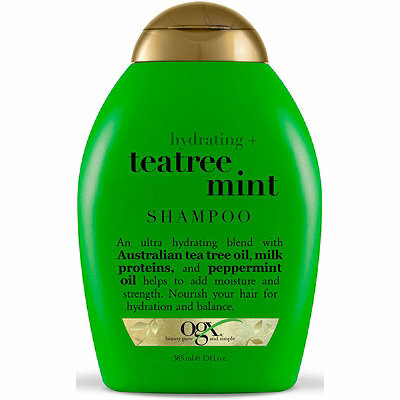 It contains Australian Tea Tree Oil, which is an amazing cleanser that helps to remove build up from the scalp while getting your hair squeaky clean. More importantly, the formula of this shampoo is supposed to clean your hair without stripping it; meaning that it is gentle enough for everyday use and can be used on all hair types, which includes color treated hair. This product is cruelty free and contains no alcohol, artificial coloring or fragrances, and no artificial detergents. If you are looking for a natural product to help cleanse your hair gently, Desert Essence may be the one for you. Avalon is a classic hair care brand that is ready to help you get rid of whatever pesky scalp irritations you may be dealing with. 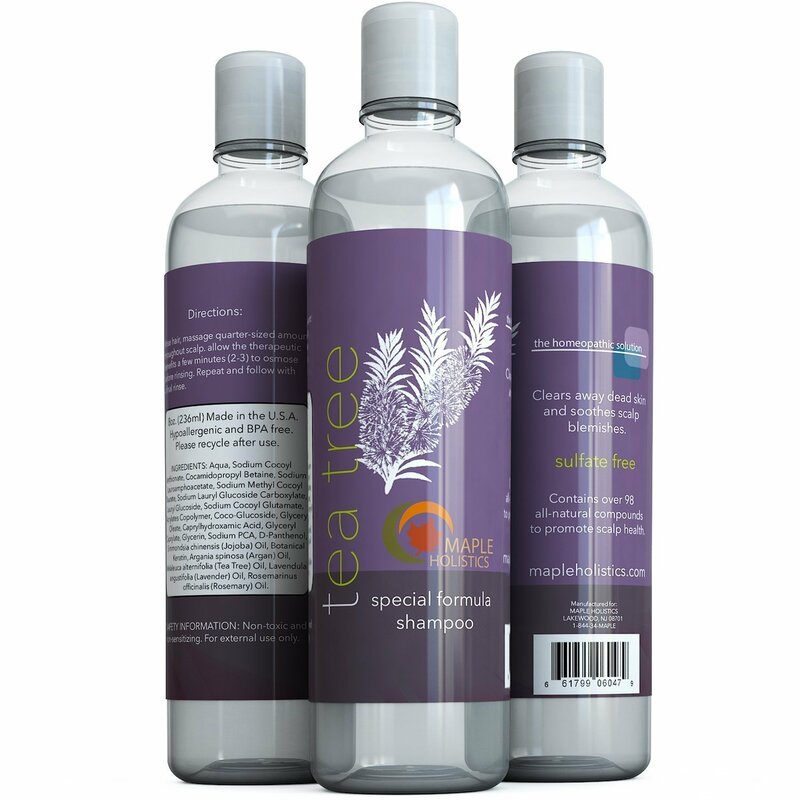 Their Organic Scalp Treatment Tea Tree Shampoo is a gentle, plant based shampoo that is designed to soothe scalp and cleanse hair with natural botanicals and essential oils. The Avalon shampoo is free of GMOs, Parabens, Sulfates, harsh chemicals, preservatives, and synthetic colors or fragrances. It is earth friendly and biodegradable, so if you like to hit the outdoors, this might be a great shampoo to take with you in order to keep your scalp under control even when away from home (just put it in a smaller bottle as the original is quite large). The smell of this shampoo is fresh and clean, without being too overpowering. 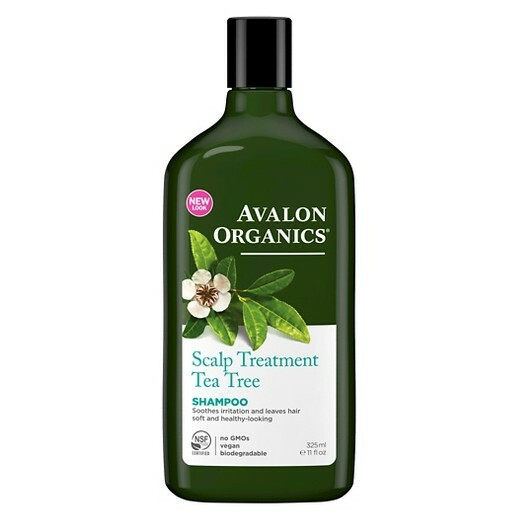 Those who are sensitive to scents should be able to use the Avalon Tea Tree shampoo without a problem. 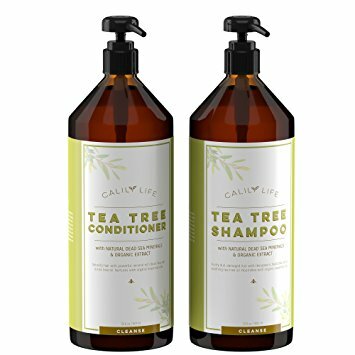 This unique shampoo and conditioner set by Calily Life is a highly concentrated solution that works to achieve results without having to use much product. A little bit goes a long way with this product, which is a good thing considering how expensive it is for the pair. Don’t let the price get you down, however, because this shampoo and conditioner are packed with great things! For instance, on top of using Tea Tree oil to cleanse the hair, Calily Life also uses natural Dead Sea minerals to remove impurities, revitalize, soften, and nourish your luscious locks. This formula deeply penetrates the hair follicles without stripping the strands, ensuring that your hair remains soft and clean. If you are wanting a really great natural product that knows how to take care of your hair without all of the unnecessary, harsh chemicals, you may really want to check Calily Life out. It leaves out all the parabens, chemicals, synthetic detergents, and preservatives and replaces them with natural minerals, oils, extracts, and vitamins to strengthen and nourish your hair. Mint and Tea Tree Oil go so well together because they provide a cooling and refreshing sensation for the scalp. While OGX may not be the purest Tea Tree Oil Shampoo on the market, it definitely is one of the most affordable and the results can still be seen. The formula is comprised of a unique blend of natural and sulfate free ingredients that help to balance and moisturize the scalp. No parabens are included in the ingredient list. Altogether, while this product does contain chemicals and some sodium, it works well with both oily and dry hair; helping to clear our residue and rejuvenate tired hair follicles. And all for a very budget friendly price! 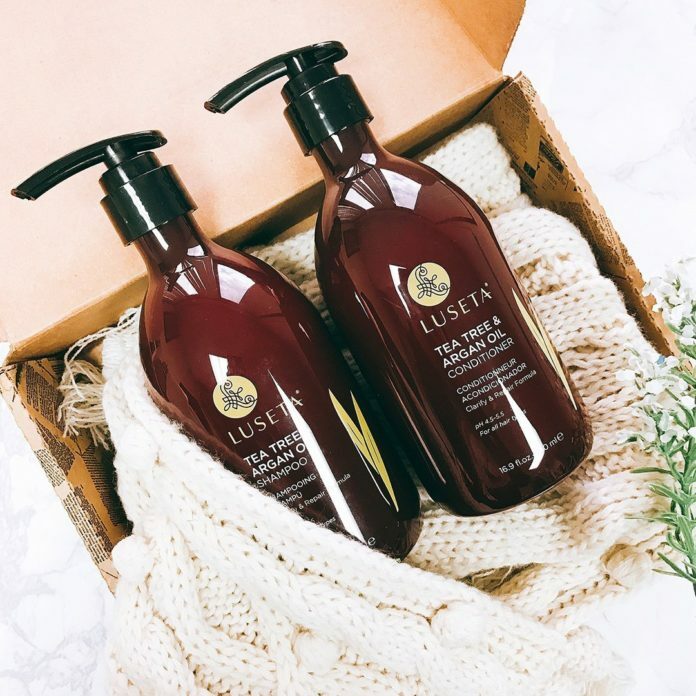 The Luseta Shampoo and Conditioner set is a mid-range product that does a pretty good job of ridding the hair of impurities and repairing damaged hair. The formula consists of a color safe product that contains Tea Tree and Argan Oil that will moisturize the hair and cleanse the scalp. 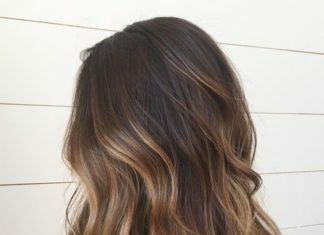 There are no sulfates, parabens, or phosphate in this product, however it does not lather well so you will need to use quite a bit to cover the whole head; this makes the price of this product a bit high. Besides that, the smell is quite nice and the product does a really wonderful job of being gentle enough for daily use and cleansing the hair well. Probably the biggest benefit of Tea Tree oil included within a shampoo is the anti-bacterial and cleansing properties of the oil. For those who suffer from itchy, flaky scalps accompanied by perhaps painful bumps and redness, Tea Tree is going to be a key ingredient for them. This oil is great at soothing the redness and itchiness, while also cleansing the skin of whatever may be causing the bumps and irritation. On top of this, Tea Tree is great at helping your skin and hair to retain more moisture (as it is an oil) and brings a lovely, natural fragrance to the product. While Tea Tree on its own may be a bit too medicinal for some people’s liking, these shampoos are typically containing other essential oils like lavender to help improve the scent. Overall, whether you have a scalp issue or not, Tea Tree Oil is a wonderful and natural ingredient to find in a shampoo that will help to strengthen, cleanse, and moisturize your hair and scalp. 13How Much Tea Tree Oil is in Shampoo? While it may seem like you would need a lot of Tea Tree Oil to be included in the shampoo to make a difference, you may be surprised to find out how little of it you actually need. Essential oils, like Tea Tree, are extremely concentrated; meaning that just one drop can go a very long way! 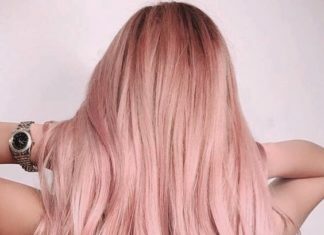 Most shampoos that include Tea Tree (actually any ingredient) won’t tell you specifically how much of that ingredient is included in the product. The best way to get a rough estimate on how much oil may be included in the shampoo would be to think about how much you would be adding if you were applying it to your own shampoo. Stick with us while we explain! Because essential oils are so concentrated, you typically only want to use around a 1 to 1 ratio of oil to product. So, if you were to add the oil yourself, you would be adding somewhere around 10 drops of the Tea Tree oil to an 8 oz. bottle of product. This would then give you around a 2% solution. You can make this stronger if you’d like (up to a 5% concentration) but be sure that you don’t make it too strong, otherwise irritation may occur. Knowing this, we can then determine that any Tea Tree Oil shampoo you would buy in the store will only have between a 2-5% concentration of Tea Tree in the product. This concentration should be plenty strong enough to fight off any lice, dandruff, skin irritation, itchiness, or dryness that your scalp may be dealing with. When determining which Tea Tree Shampoo would be the best for you, the first thing you will need to decide is whether you want something that is pure or a combination. 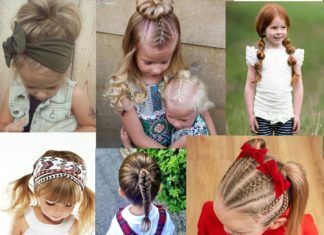 If you have multiple scalp issues that you are battling and you don’t think that just Tea Tree on its own will be enough, you may want to look into products that include more chemical treatments or other essential oils that will help to increase the strength of the product. Some people respond just fine to the pure Tea Tree oil, while others need a bit more help. 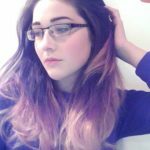 If you think you are someone who just wants to add a bit of cleansing properties to your shampoo routine or perhaps you are just all about the rawer and natural products, then you will want to search for a Tea Tree Oil shampoo that doesn’t enlist the help of chemicals and just sticks to the natural ingredients. No matter which route you decide to go, the Tea Tree will still work to help cleanse, strengthen, and moisturize your hair while combating any issues that may be present on the scalp. If you are unsure about which route may be the best for you, speaking with your doctor is a great way of getting suggestions on which products may be best for your specific situation.